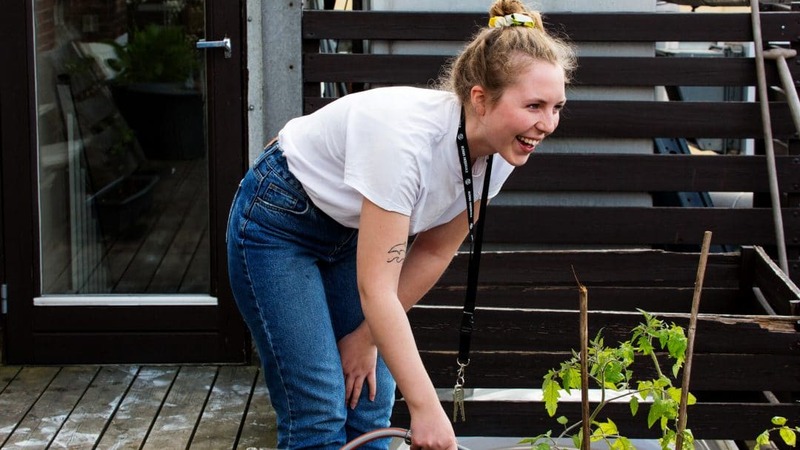 Suhrs Højskole is a folk high school in the middle of Copenhagen – we care about food, culture, gastronomy, health and good ingredients. If you attend a course at Suhrs Højskole you will gain fundamental knowledge regarding food, raw ingredients, consumption and gain the necessary timing of food preparation and grip of the kitchen. Furthermore, you will gain insight into various fields, such as health and sustainability in order to create a sound framework for your life. At Suhrs Højskole you will have mandatory classes five days a week in the time period of 8.40 to 15:30. The Culinary Journey – Italy, here we come! On all of our long courses we go on a 10 day culinary journey to Italy. Before the trip there is extensive research into Italian culinary tradition and culture. On this trip there will be visits to small specialty stores and markets, restaurants and local cooking schools in order to facilitate an understanding of the Italian culture. New friends and exciting adventures! You can choose whether to be a day student (with classes from 9 till 15:30) or you can choose to live at the school as a boarding school student. Regardless of your choice you will be able to eat all your meals at the school and join all social activities. In your spare time there will be opportunities to take part in various activities outside school hours. The activities depend on the interests of the students and teachers and could for example be a running club, afternoon yoga, cheese and wine club, arts and crafts, or a film and book club. There is also a course where you can learn to brew beer! If you are currently in Denmark you can always call us and make an appointment to visit the school. If you have any further questions, please don’t hesitate to contact us. You need to understand and speak Danish to attend a course at the school since all of the classes are taught in Danish. The total amount covers the price of the courses, the ingredients used, the cost of excursions, materials, meals and numerous field trips. All students will receive the cookbook “Mad” and an apron. There will be culinary field trips during both the spring and autumn course. This extra travelling expense will be paid as an extra course payment. We can in special cases provide financial support to students, whose own financial situation would otherwise prevent them from participate in the course. To a limited number of international students (except students from the Nordic countries) we can reduce the price with 450 DKK per week. If you are curious about whether or not this is an option for you, please contact us for further information.